The era when you could’ve just rely on the quality of your products and rest assured that it would be enough for it to reach a wide audience and gain reputation is long over. Not even traditional channels of advertising suffice any longer. There’s a tough competition going on the market in every field, and new advertising methods are popping up day after day. However, good old and tested e – mail marketing still serves its purpose better than any other marketing channel, only the software for this advertising strategy is being innovated.With emerging of social media , many digital marketing agencies consider social media advertising as a “must do” to all modern companies, but the fact is that regular mail checkup is still the first online interaction for most people out there. Thus, e – mail marketing is still ahead of social media marketing, but with a myriad of software providing this service, you have to gain some skills and explore the matter a bit more thoroughly to get the most out of your contact list. Here’s a brief rundown of some features you should look for when choosing adequate e – mail marketing software. When creating e – mail marketing strategy and choosing software for it, be aware that the first obstacle you have to overcome is a risk of your mail simply not being opened. People get too many newsletters these days; your mail has to gain special attention in order not to be trashed immediately. Thus, look for software with the strong visual editor and multiple features, such as drag-and-drop function, pre-designed templates, built-in photo editing, customization of templates and much more. Invest into visual identity of your newsletters and do not trivialize it. Also, make sure you use software that creates design adjusted to both desktop and mobile utilization. Just the way you want the visual identity of your newsletters to beat your company’s competition, you will need to get precise reports and analytics about your market position. Applying marketing campaign isn’t enough, purchase e-mail software that provides various forms of reports and statistic about the effects of your campaign.Many features are enabling these aspects, such as monitoring of time users spent reading your mail, some clicks on the links present inside the body of the mail, demographic analyzes, outgoing traffic (printing, deleting or forwarding your newsletters) and much more. All this data will help you profile your audience, get the clear picture of the efficiency of your marketing strategy and finally give you directions on how to personalize and improve your approach. E-mail marketing software with integrated auto responders and other functions that will automate the whole procedure of advertising strategy are one of the most attractive features of this software and the main reason for many companies to purchase them. The mere automation will immediately increase the conversation rate and inbound traffic towards your website. It is rather convenient since it enables you to speed up information sharing with customers, to keep them regularly updated and engaged with the news in your company and products, as well as to use it as a bate for various offers and discounts at your website. As the first interaction with the online sphere to most average internet users, e – mail remains the most convenient and efficient channel for business marketing and advertising strategies. All you need is detailed customer data base and creative advertising strategy performed smartly. All marketers nowadays lean on various e – mail software when designing marketing campaign and the best software combines sufficient level of automation with customized and personalized designing of newsletters to address your customers most effectively. One of the most convenient forms of e-mail marketing campaigns is based upon XML (or XForms). Campaigns based upon XML data are suitable for regular informing and updating of your clients from the contact list and informing them about various news, product releases, offers and discounts in your company. Great capacity for automation is one of the most attractive features of XML and here are some other reasons why you should consider integrating XML based e-mail marketing campaign into your general advertising strategy. Although you have to have some clue about HTML programming to master XML applying onto your e-mail templates, generally speaking, XML is easy to comprehend. Simply put, all you got to do is place XML data file reference into desired e-mail template and adjust several other traits, such as frequency of sending, features of automation and chosen contacts from your customer data base. XML is limitless when it comes to aspects of the mail content you may use and combine. Emerging from the older RSS that used title, description, image and article link, XML features all of these and much more. It is perfect for regular informing of all your clients about new products, sales, and discounts, offers, changes and all other information regarding your business you’d like your clients to engage into. With this level of automation, XML based e-mail marketing templates will increase conversation rate, inbound traffic, time spent on your website and finally your businesses’ income. In first two steps, you have to prepare HTML e-mail template and XML setting that will contain all the information you’d like to send to your contacts. It may include various data in various forms, links and images included. To place XML code into HTML e-mail template, you will need a certain knowledge of HTML and adjustments you have to set during this procedure. After you’ve completed previous steps, set general setting, such as date and time and frequency of e-mail sending. To avoid losing your clients’ attention due to way too generic and “one of many” advertising e-mails, you should apply various tactics of profiling your audience and adjusting marketing campaign according to the interests of each group of customers. Most e-mail marketing software provides options and functions for collecting various data about your clients in the contact list that you may insert into XML content later and make all your advertising mails more specific and personal, thus more effective in a long run. 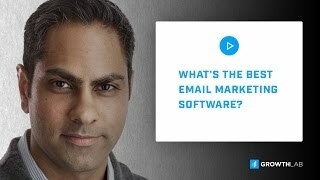 What’s The Best Email Marketing Software?